These are some of the largest and most popular packs for YSFLIGHT. Most are from other websites and may not be updated frequently. Click on the pack names to go to the download pages. Note: When installing packs, please consult the How to Install Addons tutorial post, or ask here on the YSFHQ forum. Please do not contact Mr. Yamakawa regarding addons, as he does not answer questions about other installs or packs. Thanks to Taskforce_58 for this original post from YSP! These are the addons that are the most up to date with today's YSFlight standards and contain some very nice, low-lag aircraft as well as Iceman's notorious F-16 Project Falcon. This pack is one of the oldest and most extensive packs for YSFlight, sporting close to 100 different new flyable aircraft, from many eras of aviation. Each model sets the standard for semi-detailed models, and are fun to fly and great to have. 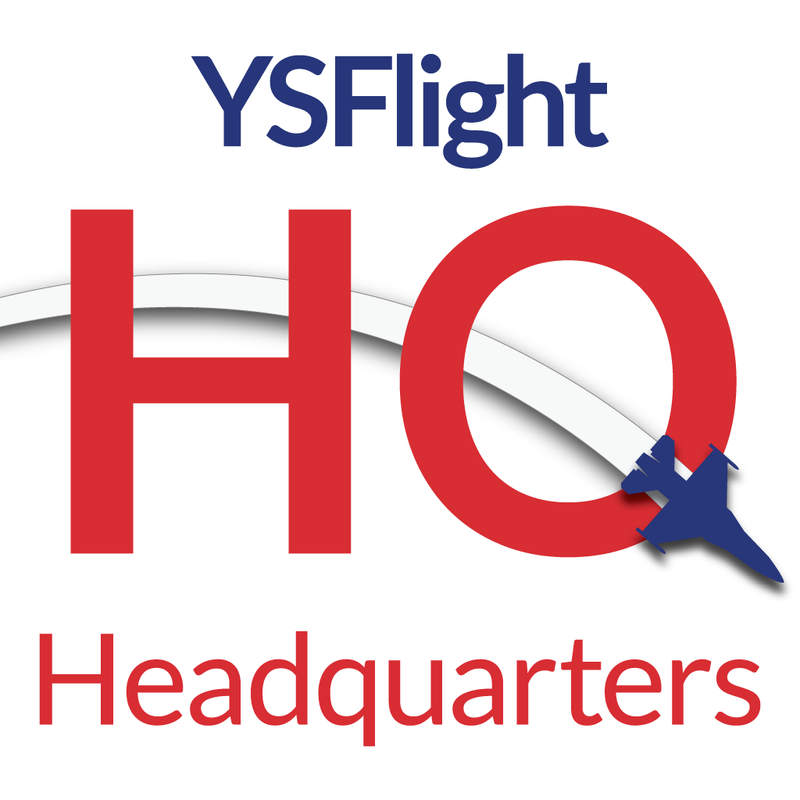 This is the site of YSFHQ member and long time YSP/YSflight community member Taskforce58. It includes all sorts of models ranging from modern and cold war aircraft to the "Down in Flames" pack of extremely fun ww2 aircraft. There's also a great collection of maps ranging from Cold Lake, Canada to Edwards AFB. Taskforce 58 has an attention to detail in his mods that is very easy to appreciate. A huge collection of modern and cold war military aircraft optimized for low-lag, massive scale server combat. They are necessary to fly on the ww3 server, which has many serverside mods that allow for a much more realistic style of ys combat multiplayer. These are also frequently used as a base for modding, given the "credit only" license under which the planes are distributed. On this page there is also the GACRP pack (gac repaint), which uses a "report only" repaint policy, with an incredible quantity of very fancy repaints. Lord flash is a big fan of British aircraft, and sports some of the most ridiculously detailed aircraft in YS, specifically in the cockpit. A great deal of love has been given to the V-bombers in particular. Some of the most detail civilian aircraft in YS. The Citation X alone would make this great pack worth the download. Some good maps too. Big collection of highly detailed military aircraft and some airliners. Has a USAF pack and some very beautiful aggressors, among other things. These are the aircraft we were able to recover from the old forum. This pack is home to some truly amazing craftmanship. It is also an absolute must have for painters and modders. This pack is considered standard fare and is in very common use on servers. It replaces the less-than excellent stock maps with much prettier ones. Also includes the 171st fleet and their excellent Saipan homebase map. Tired of having missiles that look retarded? This is the sure-fire way to make your ordnance look good. Skipper has graciously re-uploaded his pack in full. Thanks to NavyGator for contacting him. All the permissions are the same as they were originally on these addons and are to be respected. Excellent pack with many F-14s from YSFHQ user Excariburn. Contains CEP 1 & 2 - Kzs A, S, D, & M - a MAP pack - a Missile Pack- Buta's packs - All with some previews. A collection of custom aircraft and repaints. Find the version with the 241st aircraft here. Multiple variants of the F-22, F-15 and F-5, all high-quality aircraft. Some very detailed ADFX-01s from Ace Combat Zero produced by Kisuke. Possibly the most detailed ADFX-02 Morgan ever produced in varied paintschemes. More YS addons to come. Contains one pack called TMP. Tanks adds 90+ vehicles mostly experimental and WWII. Has an a few aircraft(experimental and odd) an a plane pack for ys as well as some FMS add-ons. Jin has made a collection of helicopters for YS. Not updated anymore, the page is more of a backup of his now defunct YS page. Contains contains a few nice planes and helos in two packs. Contains Wizard-FTC pack, CEFP(formerly cep 3), TMP's Eagle Meeting, Imaginary Planes Collection and Greniam's Pack(GRESP). A great database for finding aircraft. A section holds a few downloads including the F-14 "Black Knights", JASDF F-2, VFA-27 F/A-18's and Blue Impulse T-4s 1-6. This page has great models of the MH-60, Tu-22M, BMP-1 Tank and and several other models. X49HASAMA's pack is host to favorite Ace Combat maps and aircraft including Sand Island, B7R and Megalith. Also includes the infamous playable aircraft of the SOLG, Stonehenge S.T.N. and Arkbird. Interface Top Secret Animation Programmers "ITSAP"
Home to the Macross Zero VF-0 Veritech Fighter. Includes A, O, and S models. Some of Technote's older models can be found on his page. Some of them eventually were added and updated for the TMP pack. WW2 aircraft, mostly moderate quality, although a few of the models (e.g. a TBD Devastator) are quite nice. Home of the Real Pack Yuichi's Map Pack. Mostly Commercial planes, and a few others plus a map. Adds one Military Aircraft namely a Umidori. Some interesting planes, plus different repaints of the default hawk. A couple of very nice sci-fi aircraft. Home of Steady-Cat Laboratories. Several versions of the future Mitsubishi Regional Jet. An older YSFlight dedicated page, has some simplistic airliner and charter aircraft up for download like the Dash8 Oriental Air Bridge aircraft. Another page dedicated to some older models. Early models of the Su-47 and Harrier can be found under the YSFS page and also a map named ARKLANT Mod. The Spanish Speaking community of YSF modders. Some very cool planes can be found there. Home of many aircraft ranging from high detail to gac quality, as well as race tracks and other maps such as the rocket sport map. Contains some innovative stuff such as the manga f-16. Contains one high quality scratch built A-4 Skyhawk and a number of other modern combat/aerobatic planes by YS veteran Talon. Also contains Talon's Terre-De-Haute map. A small collection of airliner repaints by the infamous Akira. Very high detailed and very good to fly. A must have for any Civilian pilot. Owl's work includes numerous airliners and civil aircraft, both as paints and original aircraft. Owl's high quality Zagreb map is also found here. A few very amazing concepts for YS, including a base figure of a human running. This pack is a collection of futuristic mods. Contains Macross stuff. Very high detailed. Giant planes and crazy things.